I’ve sometimes wondered why I can’t really remember the first few weeks of my first pregnancy and it took till the first few weeks of THIS pregnancy to realise why. It’s because I was a pregnant zombie sleeping my way through the weeks, completely exhausted whilst trying to appear all normal hiding any signs that I may be pregnant. Couple that with needing to stuff my face every 5 minutes and that pretty much formed the first trimester both times. I have noticed some pretty big differences this time round too though. Ones that are very assuring when you’re doubting whether you’re actually pregnant but ones that can be “challenging”. For instance.. I was extremely lucky with Little Z. I had one single day of nausea and that was it. Wow, I don’t think I knew I was born back then. Or pregnant. Or whatever. This time round I’ve spent about 10 weeks so far either throwing up or being nauseous all the live long day. And night! At 2am. Why the heck is it even called morning sickness? My breakfast of choice for weeks has been a banana and a a can of Canada Dry. The combination is amazing and staves off nausea for most of the morning. At least I have the pleasure of little Z giving me huge amounts of sympathy about two inches from my face whilst I go through my morning throwing up ritual. Sometimes it comes with encouraging sounds effects too. Each day though he always very sweetly asks without fail if I’ve “finished doing bleurgh”. Little Z is now belly height and his method of transport is usually to run as fast as he can and slam hug straight into me. This is always lovely but I’m trialling out a sideways block these days. And contemplating buying a Michelin man style protective suit. Failing that I need to stop him running so fast. So the Michelin man style protective suit it is. Thankfully I haven’t bawled on any member of management at work this time. It was definitely in the first trimester, around the 10 or 11 week mark, last time that I sobbed to my boss about how tired I was, how I didn’t think I would cope and how I thought I should be demoted. Luckily at least one of us was sane and he calmed the bag of emotions down and everything was fine again within an hour. I’m quite proud of not bawling on my current boss this time round. So far. I may have bawled on the husband about being SO hungry but that’s completely allowed, right? I acquired a pretty strong addiction to lamb chops in the first trimester of my last pregnancy. I would hunt them down wherever I went and devour them in bulk at lightning speed. Barbecued with a film of charcoal were the best types. Along with fat. I could not get enough of FAT! Eww. This time round I’ve gone off chops completely. And fat. Thankfully. This time round any hint of fat makes me wretch full force. Not so long ago I looked at the hubby in complete horror as I could suddenly taste fat from a bite I’d taken of some lamb in a restaurant and suddenly felt very very sick. I knew my choices were to throw up, spit it out or run to the bathroom like a mad woman. I won’t say which one I did. But the husband nearly fell off his chair laughing afterwards. I’ve noticed that things are happening a lot sooner this time. Achey bones, little niggles and especially the bump making itself visible. It made me wonder at first if I was having a large baby but it turns out it seems to be a normal second pregnancy related thing. It doesn’t stop me from asking the hubby if my bump is looking big. Turns out Little Z has offered to take on that role. The very first time he heard me ask about the bump he helpfully ran to examine my backside and then confirmed “No Mummy, your bum doesn’t look big”. Always good to know I suppose! 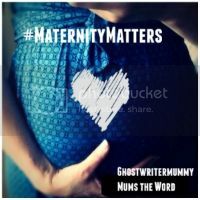 This entry was posted in Pregnancy and tagged aches, cravings, first trimester, morning sickness, pgp, Pregnancy, second pregnancy, throwing up. Bookmark the permalink. Awww it must be so nice the second time round knowing ‘generally’ what’s going on. Awww little Z asking if you’ve stopped being sick and telling you your bum doesn’t look big….I love him!!!!!! It’s funny how little things are so different! The lamb thing is funny! I totally went off diet coke (which I love!!!) when pregnant with Arthur and this time luckily it’s still on the menu for me! I think any of those options in a restaurant sound pretty funny you poor thing!!!! Love this post, although very sorry to hear about all the vomiting 🙁 I was lucky that I was never sick in any of my pregnancies. I did feel nauseous, but never actually threw up. Had to laugh at Z asking if you’d finished doing ‘bleurgh’! Here’s hoping you start feeling better soon (and well done for not crying on your boss!). This post did make me chuckle, there’s always so many similarities between pregnancies but some very big differences too. Little Z is too cute asking if you’ve finished being sick and telling you your bum doesn’t look big, sounds like the perfect little man! Popping in from Magic Moments. Such a shame about the morning sickness! I was so lucky with our little man. I didn’t have a speck of nausea. Not once. Our little guy does the same running hug! Haha this is brilliant and so true. Even though I’m veggie I cook meat for the fam and with my first pregnancy, I couldn’t stand the smell of lamb. It totally knocked me sick which was difficult being a farmer’s wife 😉 I wasn’t so bad this time. Maybe its a girl. It’s so amazing how different pregnancies can be! I am sorry you are suffering with vomiting and nausea, it’s awful it’s it? I hope it goes soon. Oh hon you’ve brought so many memories flooding back! I’m glad you’re starting to feel more human. It’s crazy how much faster everything happens second, third time around! Ooo, this is bringing memories flooding back. I had horrendous morning sickness second time around. The only thing that settled my stomach was to constantly eat. I basically grazed all day for the first 12 weeks. It’s so lovely to read about how you are though after following your IVF posts. It’s like we’re on the journey with you and I couldn’t be more happy for you. 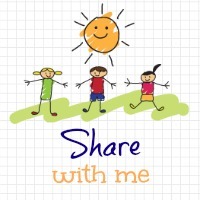 Sara (@mumturnedmom) recently posted…Childhood: language: bless you! *nauseous good grief, what’s my autocorrect doing! suzanne3childrenandit recently posted…From Yummy to Slummy? Yuck. I was also horribly poorly with the ‘all day/night’ sickness for weeks and weeks. My go to survival food was basically anything bland and cheese based. And ginger tea and saltines. It was over a year ago now and the thought of those crackers still turns my stomach! First of all, congratulations! How did I miss the announcement?! I had pretty bad morning sickness too, and I ate a lot of bananas. I love him checking out your bum for you. I do agree that the 2nd time around is a lot hard. Everything just seems to happen sooner and having a future “big sister/brother” is more tiring. It is hard to balance wanting things not to change for your son but also needing to be more careful or not being able to move as well. Getting down to the floor in the 3rd trimester and getting back up is super fun! Just enjoy the journey because it is a special time and a miracle. Aww love, I know how you feel! The first trimester second time is so much worse. I had the sickness for longer this time and almost asked my other half to put me down because it seemed a great option at the time! Impressively, I’ve only managed one meltdown during this pregnancy – over potatoes! Hopefully you can slow belly height child down – I’ve got one whose head comes up to just under my belly but if he ran at me I kind of have to bend down and turn to the side to soften the blow haha. Jade (Raising the Rings) recently posted…Izabela Peters – Children’s apron | Review & Giveaway! Charlotte recently posted…When Is The Right Time To Have Another Baby? Katie @mummydaddyme recently posted…Me and Mine: A Family Portrait Project 2015- March. Yes, those toddler headbutts right in the belly are definitely a lovely perk of pregnancy #2. Hang in there! Every pregnancy is different…I had horrible morning sickness with my second pregnancy, but not my first. My little guy would stand beside me while i was sick and pat my back, it was both sweet and heartbreaking. Between my second and third pregnancies was 17 years and these 2 were VERY different, mostly because i was older i think. I could totally sympathsize with you about the restaurant. I look back on my first pregnancy with very fond memories of how easy it was! I’ve found the sickness has got worse each time too. I’m still queasy now and I’m 34 weeks! Hope you start to bloom in your second trimester and you can enjoy it more.